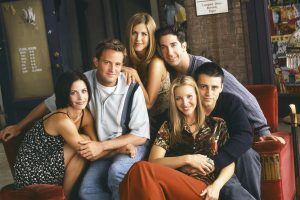 The major characters of the TV series are Monica, Chandler, Joey, Ross & Rachael. The way these characters are played by the actors will make you fall in love with them. 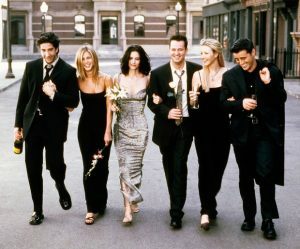 They are the biggest reason why Friends became such a success. Even after 11years since the final episode had telecasted it is still the most discussed sitcom ever. 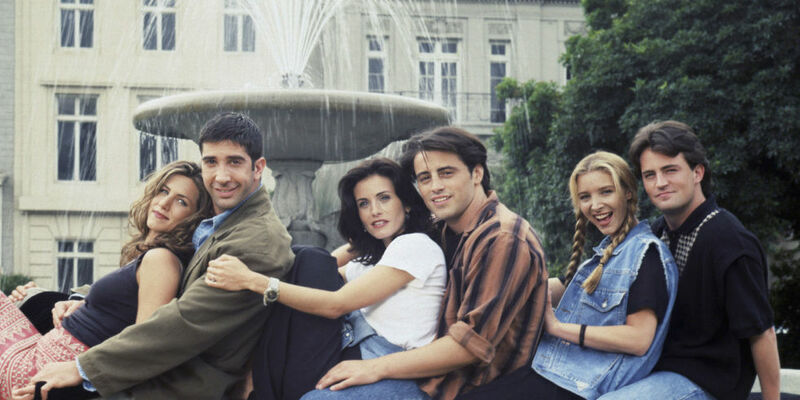 The characters are the major reason why Friends is the best sitcom ever. 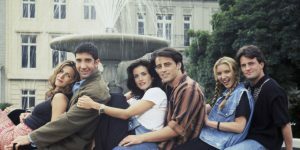 The major center of the story circulates around Ross & Rachel’s love story. Don’t worry even the love story is more like a comedy relief. 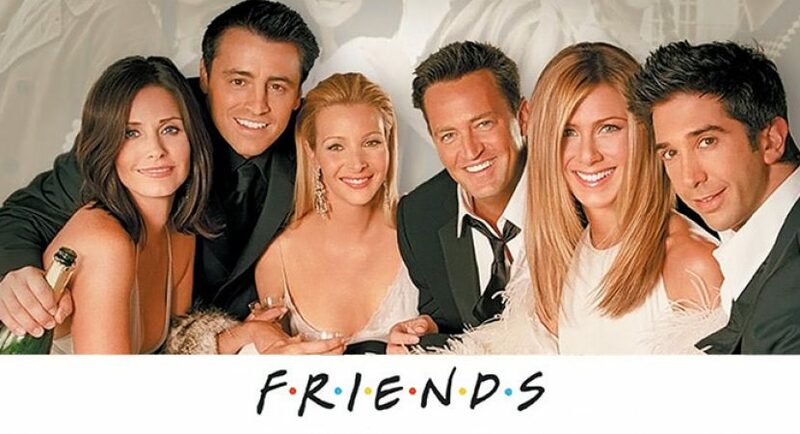 Unlike other TV series Friends never forgot its genre and always tried to entertain the fans as much as they could. At some point or the other every character has been given a push. Thus, you can never say that they did injustice to some character. These two characters are to be specially mentioned. It won’t be wrong to say that Chandler is the source of all the sarcasm which we get to hear today. The comic timing of Mathew Perry and the idiotic sweetness of Joey (Mat Le Blanc) would burst your hearts out! At least 40℅ of the comedy in memorable Friends episodes is provided by these two characters. These two contribute to another reason as to why Friends is the best sitcom ever. Phoebe is played by Lisa Kudrow. Trust me when I say this nobody could have played Phoebe better than her. Personally I love her the most, because Phoebe is as dumb as anyone could get. She has a certain presence about her which brings another sort of magic to Friends. 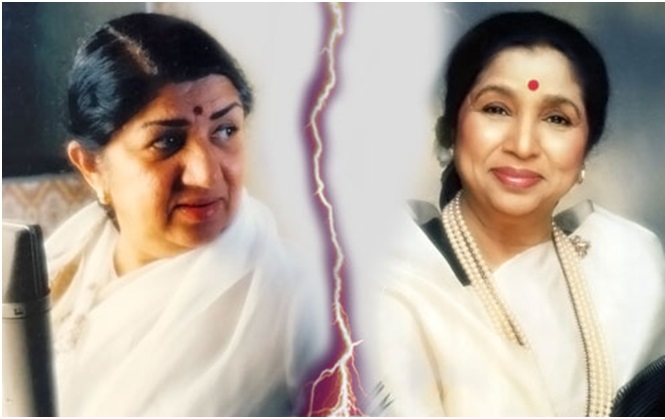 I can’t say that she is solely responsible for the success of Friends but she plays a big part. She is one of the major reasons so as to why Friends is the best sitcom ever. The ending plays a major role in defining whether a TV series would be called a classic or just another show which screwed up. The way Friends ended is in the best possible manner. It didn’t show that they all broke up or they got busy in their lives. It ended in a way like a new chapter is opening in their life. 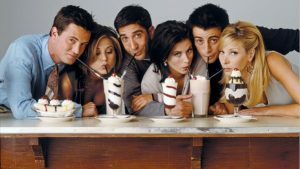 This is the major reason why I feel Friends is the best sitcom ever. These are the reasons why I feel Friends is the best sitcom ever. Do watch this, it will make you fall in love with it.